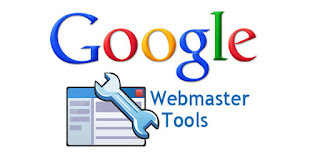 This post centers on how to use Google Webmaster Tools For SEO. 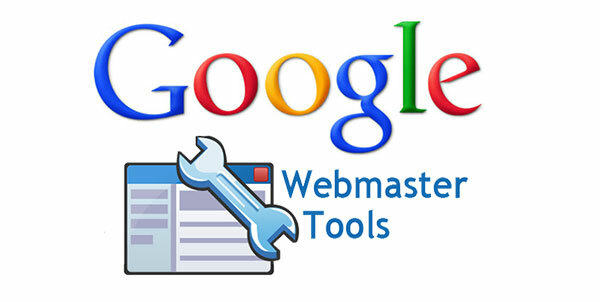 This is a set of tools provided for webmasters to optimize their blogs or websites for Google search engine. Since Google is the world's largest search engine and most of the free traffic webmasters are likely to get comes from it, it makes sense why one should give their website a proper SEO structure. With Google webmaster tools, you get to see your site's performance within a specified period of time, most important pages and indexed pages on your website, list of external and internal links to your site. Also you can adjust the crawl rate at which Google bot indexes your site, and generally ways on how you can improve your website with the site metrics provided. Verification of your website proves you're the owner and enables you to gain access to all of the features listed above and many more. 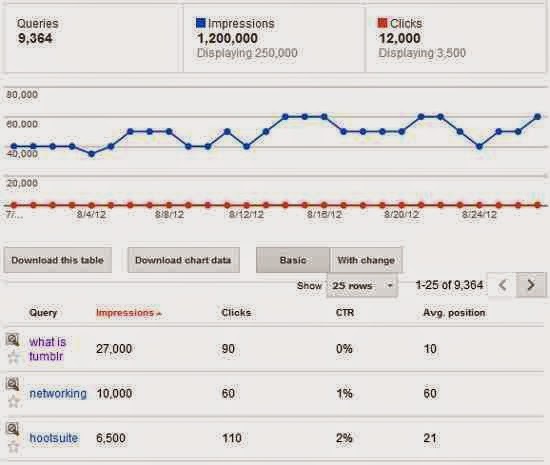 Several tools which webmasters can use in analyzing their website for better rankings can be found in Google webmaster tools, In this post, a list of the basic ones are given. These include search queries, links to your site, index status, content keywods, crawl errors, crawl stats, fetch as Google, Sitemaps, robots.txt tester and page speed insights. A review of your site's popularity is shown using a graphical representation. You can set the date range which lets you know if your site's performance is improving or declining in Google search results. 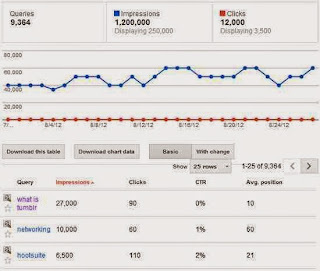 Things you should watch out for are the impressions, number of clicks for that date range. Also, in the search queries tab the keywords used to find a post on your blog is shown with the impressions it got, number of clicks and it's average position in search results. Keywords- With the keywords, you get to know the search strings that was inputted before a visitor accessed your website. With this, you can edit existing posts on your blog that matches that keyword in order to increase their ranking. Impressions : This shows the number of times your post came up in search engines and the possibility of a user clicking on it. A post with a higher impression should be optimized properly by giving it a better description, and catchy title etc. Number of Clicks: This gives the actual number of users who clicked on the post to visit your site. If a post has a high impression but with very low clicks, you need to spend time to make the post SEO friendly. By using header tags to categorise the post, relevant keywords in post title and description, increasing the length of the actual post, this can do the trick. Average Position: When your post comes up in search engines, it falls into different positions for different users who search for it on Google. If for user A the post was on position 3 and for user B , the post was on position 5, then the average positon for that post will be 4, since 3 plus 5 divided by 2 is 4. If the post has an average position above 9, then it's likely on page 2 on Google which means less traffic to your blog. The higher the average position, the lower its rank on Google. This shows the number of websites that are linking to pages on your site and the number of internal links on your site. For links to your site, you get to see your most linked content, the URL of the website that is linking to it, an the anchor text used for each link.You can use this as an online backlink checker tool. Type Sitemap.xml or type system/feeds/sitemap in the space provided, then click on submit. You can also create an HTML sitemap page in your blogger blog which can help index the pages on your blog faster and help users navigate easily through your blog. As the name implies, you can use this tool to fetch the content of your homepage or individual pages on your site. An advantage is that the content gets indexed faster instead of waiting for hours or days for Google to crawl and index your blog posts after you've published them. The primary keywords used on your blog are shown with the level of significance they have. It shows you how how Google sees your site. The Crawl errors section shows the errors encountered by Google bot while crawling your site to index its pages. This is usually shown in form of messages on visiting Google Webmaster tools. These errors can arise when there's inability to communicate with the DNS server, robot.txt is not accessible and there's a slow response in server connectivity . Here, the speed of your website is given out of a possible result of 100. If your page speed is low, it can affect your blog's position in search engines since it takes too much time to load. Another effect it'll have is an increase in its bounce rate. Most users on visiting your blog will leave immediately if it takes too much data or is slow. You should keep in mind that the information they're looking for is also on several blogs who are your competitors. You have to remove unnecessary Ads, gadgets and widgets on your blog. Compressing images, reducing their sizes and minimizing the number of images on pages can help improve you blog's page speed. On Google webmasters tools, you'll get other sugestions on how to increase your site's page speed on mobile and desktop devices.